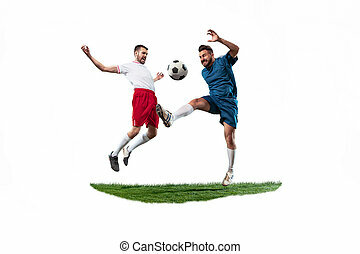 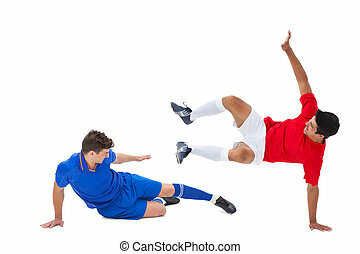 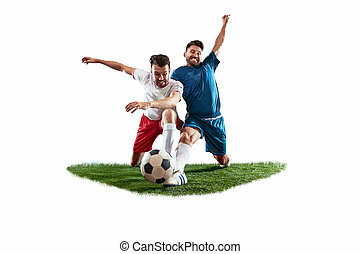 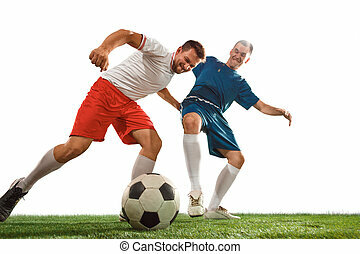 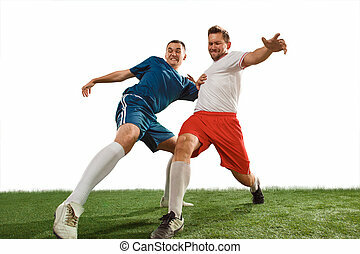 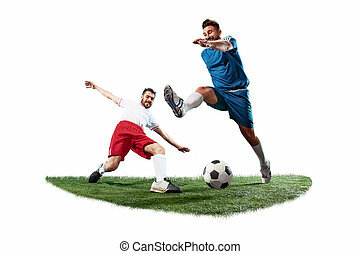 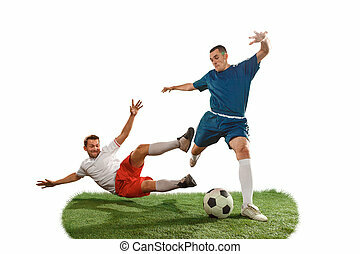 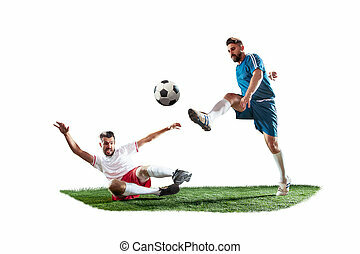 Football players tackling for the ball on white background. 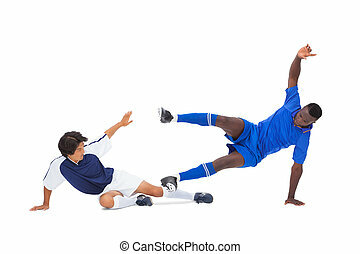 Football players tackling for the ball over white background. 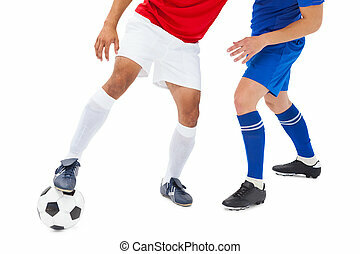 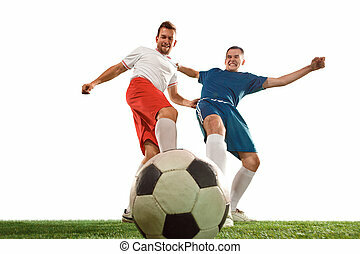 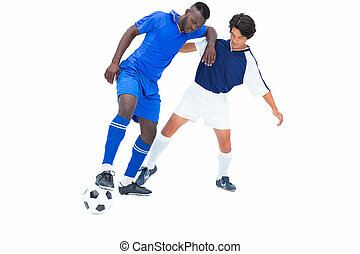 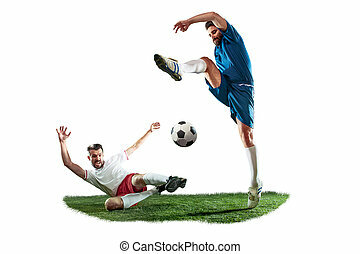 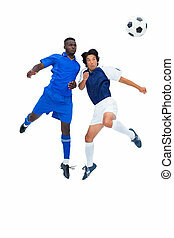 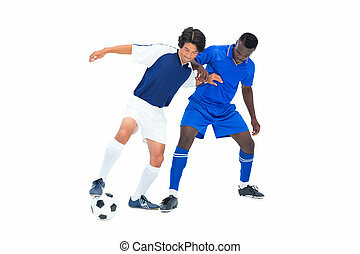 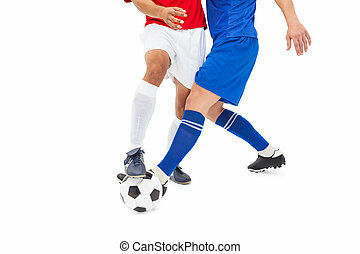 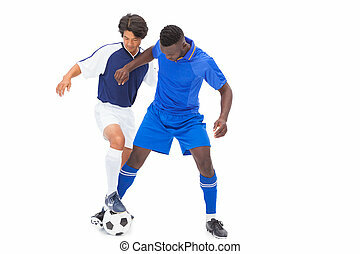 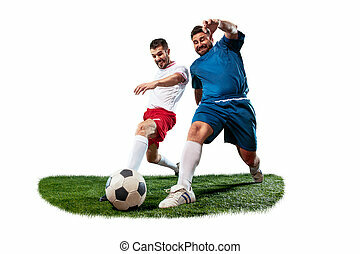 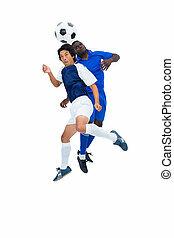 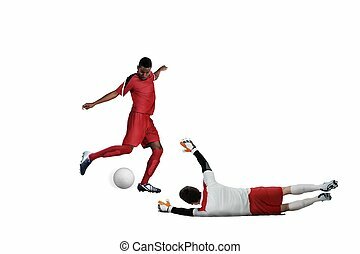 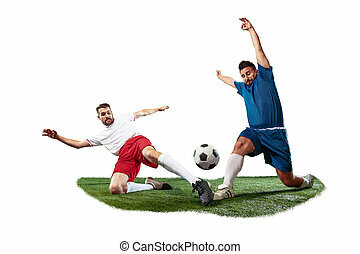 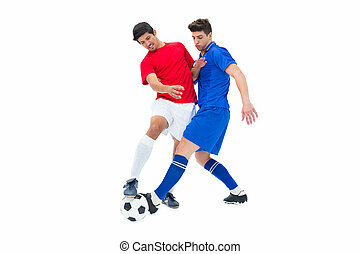 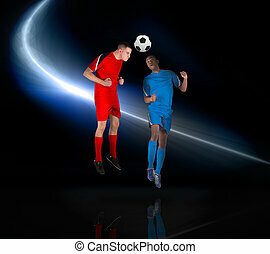 Professional football soccer players in motion isolated white studio background. 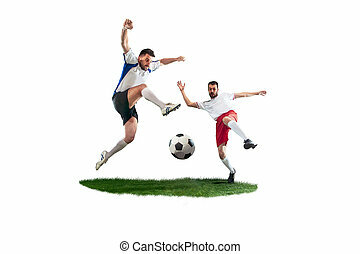 Fit jumping men in action, jump, movement at game. 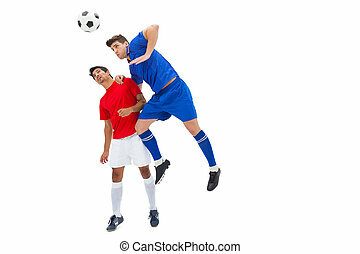 Football players tackling for the ball over white background. 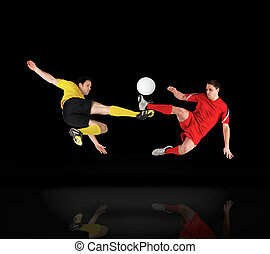 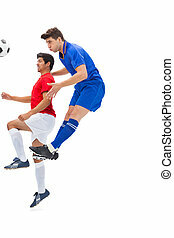 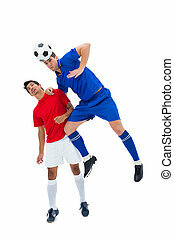 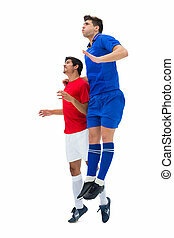 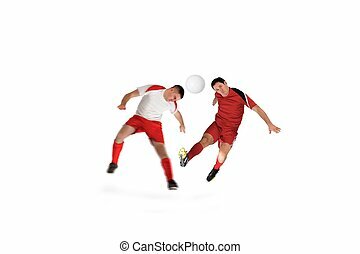 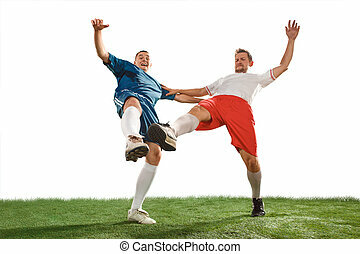 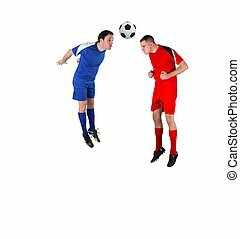 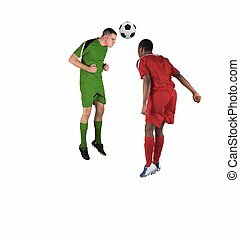 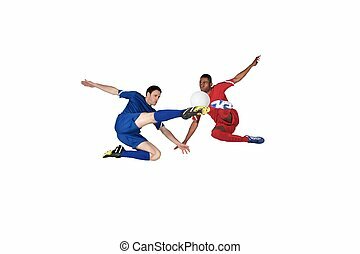 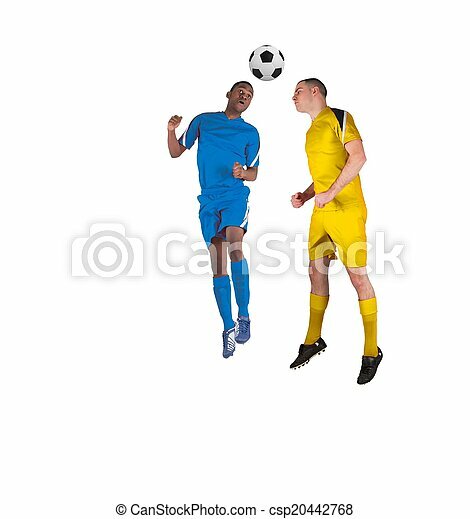 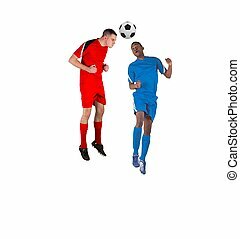 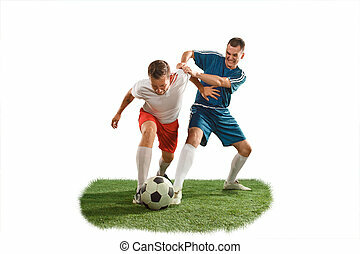 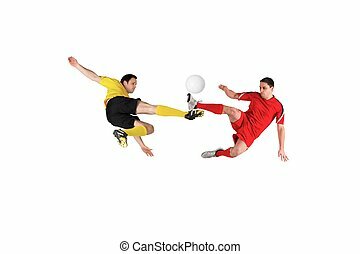 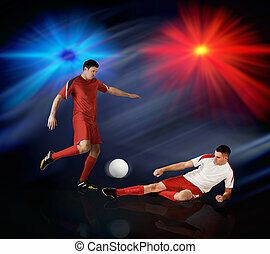 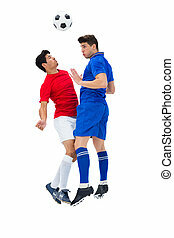 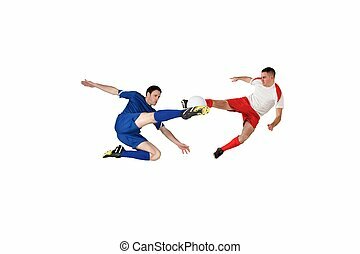 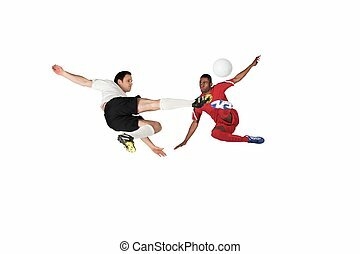 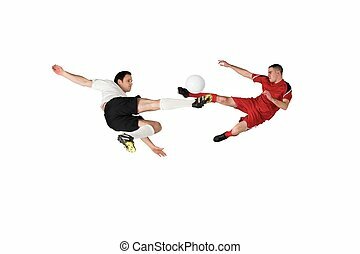 Professional football soccer players in motion isolated on white studio background. 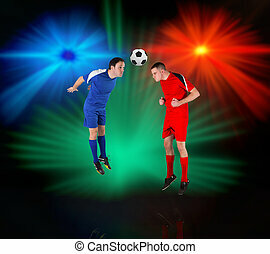 Fit fighting men in action, movement at game.